What is the next step after successfully assimilating into high school, and stopping a drug outbreak? Doing the same thing in college. 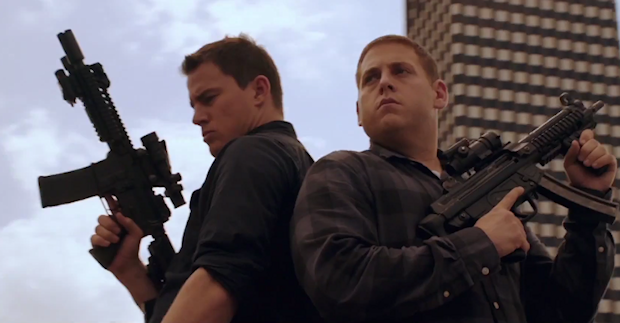 22 Jump Street starts off exactly as pointed to at the end of its predecessor, in which Captain Dickson (Ice Cube) mentions that our heroes Jenko (Channing Tatum) and Schmidt (Jonah Hill) are going to college for their next mission. Sounds cool, expect it is of the online variety. It does not take long for this to change though. A new drug known as WHYPHY is threatening to run rampant on a nearby campus, forcing the tandem to go undercover again amidst younger people. Their partnership, once unbreakable, begins to show signs of fracture when college clearly seems to be more up Jenko’s alley. To infiltrate the dealers and find the supplier once more, they will have to be on the same page. Going to try and keep this relatively short and simple. 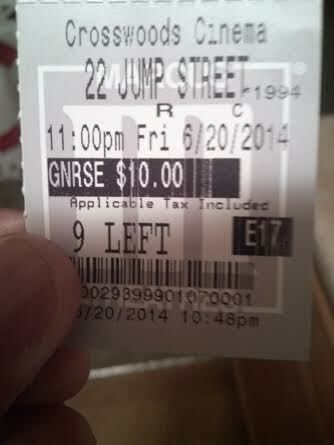 22 Jump Street is definitely more of the same. Following a similar setup to 21 Jump Street with only the mildest of plot tweaks and flip flops, it will not win any awards for originality. But is that important here? No, not at all! Once again, and it is ad nauseam at this point, the film knows what it is. It’s a sequel that probably shouldn’t even exist must like the first, but it does. As Deputy Hardy (Nick Offerman) outlines within the confines of the film, the first assignment (movie) was successful, which means more money has to be poured into the next assignment (sequel) to make it bigger and more substantial. It may be a rehash, but this is how these things go. It is this meta-ness and self-referential humor that this installment brings to its arsenal once again, poking fun at the absurdity of the premise, the existence of sequels, and even Hollywood itself. Eventually, this reminder that everyone is in on the joke does wear a bit thin after a while in my opinion, but it is a fabric of the franchise. Even with the referential humor which is pretty funny itself, 22 Jump Street works because it is just funny consistently from beginning to end, which is the first goal for any comedy. Sure, some laughs are bigger than others (and there are some big ones), but the mild laughs keep investment in the movie and keeps hold of attention. And it is not just the meta humor either. Tons of physical gags, verbal banter, and reactionary comedy work just as well, if not better. The constant hilariousness can be attributed to three people: Jonah Hill, Channing Tatum, and Ice Cube. As a duo, Hill and Tatum as Schmidt and Jenko have something special in the way of chemistry, like two basketball players utilizing the pick and roll so effectively because they know where the other is almost always going to be. The movie does allow for the two to be separated at times, and it is during these times where both get to shine respectively in their given situations. Also, the movie delves more into their relationship and why it doesn’t always work, giving Jenko and Schmidt character aspects that the audience can relate to. 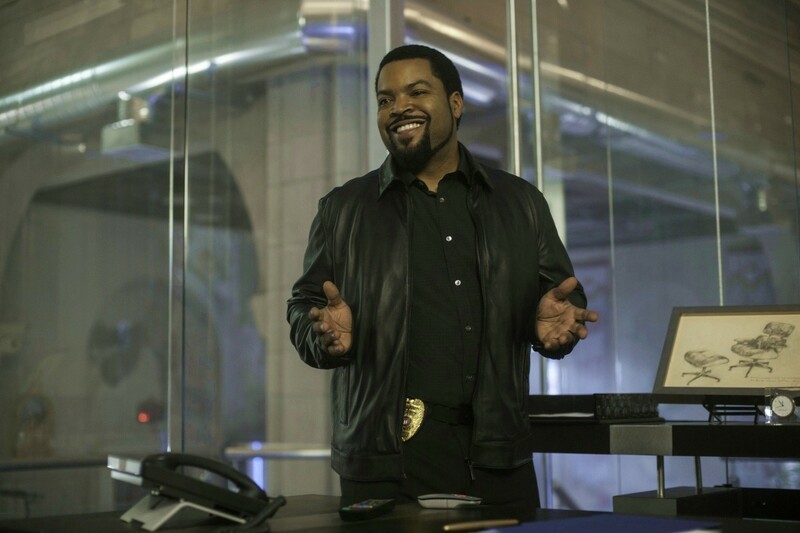 As a benefit to everyone, Ice Cube’s role is definitely larger in this sequel. He is back as the stereotypical angry black captain, spitting his profane insults and mean mugging faces to our favorite tandem, which is just as gut-busting as before. This time however, he must become more a part of the mission, for support reasons and personal reasons, the latter resulting in arguably the funniest moment in the entire film. The rest of the cast comes off as more miss than hit. Not to say that they are completely devoid of amusing moments, but they are more one-note, compared to the supporting characters of Dave Franco, Rob Riggle, and Brie Larson from the first. Though the premise is the same, it has been improved upon. Directors Christopher Miller & Phil Lord make sure that this sequel is tighter, mainly in its pacing and presentation. This movie never drags and moves along at a brisk pace. Additionally, the action sequences look like more attention was spent on them, and they too are spaced throughout as opposed to the last third of runtime, giving the movie a true comedy-action feel. Depending on how many times the trailer has been seen, it may make the events of the movie slightly predictable, so keep that in mind. All in all though, 22 Jump Street is easily the best comedy of the year to this point simply because at the core it succeeds in making you laugh, and laugh a lot. Can’t ask for much more. Photo credits go to forbes.com, acesshowbiz.com, and movieplusnews.com. I must agree with Ice Cube being part of one of the funniest moments in the film. I laughed out loud and enjoyed every second of it! I also agree on the action sequences. They were creative and refreshing to watch! I am glad that some are just downright silly instead of you know…attempting to be serious in a movie that should not be! Jam packed with humor from beginning to end. I scored this higher than the original, and it may just be recency, but I believe this is a bit better than the first! Ice Cube is indeed funny but I’d say Jillian Bell stole the show. She’s hilarious as the college student who sees right through Schmidt’s (Jonah Hill) ruse. I suppose I am in the minority with her character. I found the same joke a bit annoying. Thanks for the comment! It may be a big jump (pun intended), especially since I haven’t seen some of the more smaller, independent comedies. But I also believe that this has been a weak year for them so far, fully realizing that comedy is subjective :). You’re talking to a guy who thinks Edge of Tomorrow is the second funniest film of the year haha! But even if I believed it to be a strong comedy year, this would still garner a high mark. Long comment!